‘X-Men: Days of Future Past‘ has just cast Peter Dinklage for an unknown role at this point, but we are told it’s key part. Dinklage has been hard at work on HBO’s ‘Game of Thrones’ for the past couple of years, and I can’t wait to see him as either a superhero or villain. Bryan Singer, the director for the original two X-Men films is back to direct and has been announcing via his Twitter page the news. Singer tweeted, Officially like to welcome #PeterDinklagefrom #GameOfThrones to #XMEN#DaysofFuturePast Very very excited! 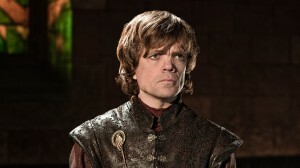 Any thoughts on to who Dinklage will play? This entry was posted on Thursday, February 14th, 2013 at 1:12 pm	and is filed under Comics, Film, News. You can follow any responses to this entry through the RSS 2.0 feed. You can skip to the end and leave a response. Pinging is currently not allowed. Won’t see it without Brian Cox. « Film Review: ‘Bless Me, Ultima’!! !